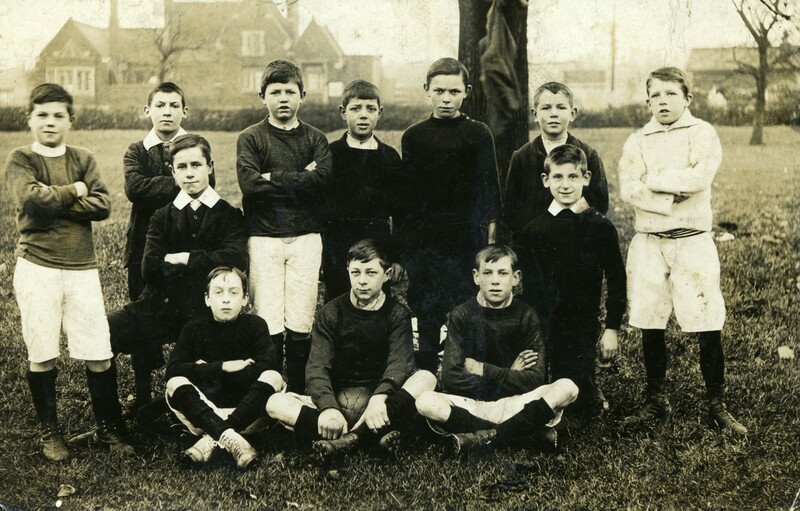 Bottesford boys football eleven of 1906 posing on the playing field. This small group shows Mr Sutton as a young man and later working as a gardener and a member of the Oddfellows, also Bottesford football team of 1906 and Singleton’s horse and carriage; there are also certain of Mr Sutton’s WW1 service papers. Photographer/s unknown; the WW1 papers are official documents of that time.